Welcome to James Street Garage, your one stop shop for car & motorcycle MOT and repairs based in Tyldesley, North West Manchester. 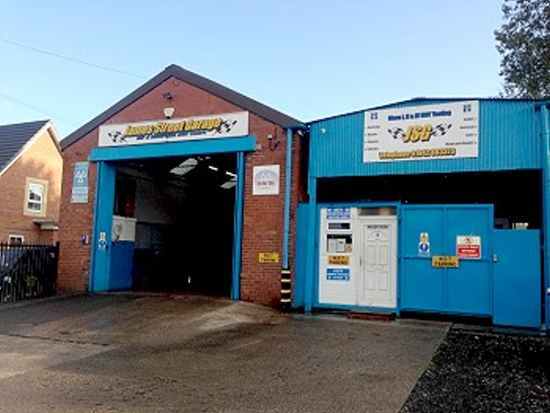 James Street Garage has been established for over 30 years, providing quality servicing and repairs to all makes and models of cars, vans and motorcycles. We also offer wheel alignment, air-conditioning service and repairs, tyres, exhausts and clutches. We are easily accessed via the A-road network, the M61, M62 and M6 motorways and serve the Manchester, Wigan, Bolton and Leigh areas. At James Street Garage we take pride in our attention to detail and to the high quality of our work, we offer excellent value for money in the quality of parts, quality of service, and quality of workmanship we offer you. Our guarantee is to meet your motoring requirements with the highest quality of vehicle maintenance and customer care. We care about you and your vehicle so come and see us today for all your maintenance needs. We strive to provide our clients’ with the best possible service and our team and dedicated to you and your vehicle. Our reputation stands above anything else, with customers returning time and time again to get their vehicles looked after by us.